Providing you the best range of sma tri power 6kw -3 phase inverter, sma tri power 20kw -3ph inverter, sma tri power 8kw inverter - 3ph, sma tri power 10 kw - 3 phase inverter, sma tri power 15kw - 3 phase inverter and sma tri power 5 kw - 3 phase inverter with effective & timely delivery. sma grid tie inverterreview is very good and it is very reliable . 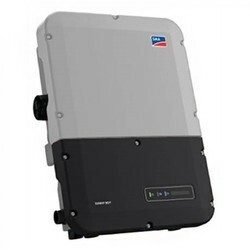 sma 60 kw inverter datasheet is available starc energy solution opc pvt ltd .
sma grid tie inverter review is very good and it is very reliable . The Sunny Boy inverter from SMA always ensures maximum energy yields right from your roof. For the ultimate in convenience, the integrated SMA Smart Connected service automatically informs the installer in the event of a malfunction. Intelligent and cost-effective module technology optimizes yields in the case of shadowing or unfavorable roof orientations. SMA tri power 3ph inverter review is available at starc energy solutions OPC Pvt Ltd.
SMA grid tie inverter review is very good and it is very reliable. SMA grid tie inverter is leading solar grid tie inverter available at starc energy solutions OPC Pvt Ltd.
SMA inverter price list in India is available at starc energy solution OPC Pvt Ltd.
SMA inverter data sheet is available at starc energy solutions OPC Pvt Ltd.
SMA 60 kW inverter datasheet is available starc energy solution OPC Pvt Ltd.
SMA solar inverter is the leading solar grid-tie inverters in India available at starc energy solutions OPC Pvt Ltd. The Sunny Boy inverter from SMA always ensures maximum energy yields right from your roof. For the ultimate in convenience, the integrated SMA Smart Connected service automatically informs the installer in the event of a malfunction. Intelligent and cost-effective module technology optimizes yields in the case of shadowing or unfavorable roof orientations.